For Squire Technologies & Cataleya one plus one is definitely greater than two. 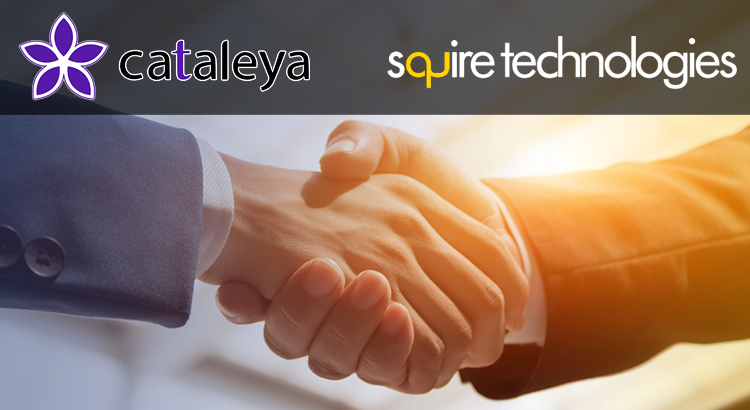 UK-based Squire Technologies and Cataleya will combine their solutions to offer a comprehensive TDM and IP product portfolio to customers around the globe. As a result of this new partnership, one plus one is definitely greater than two. London, 10 November 2017 – Cataleya, a leader in IP, networking and technology innovation, has entered into a strategic partnership agreement with Squire Technologies, a UK-based signalling specialist, to combine its products and solutions to offer a much broader ecosystem of real-time communications networking solutions to its existing and new clients. Squire Technologies serves Tier 1 and Tier 2 providers in the fixed, mobile, alternative and virtual space with innovative solutions. The agreement enables it to expand its product portfolio with Cataleya’s simple and intuitive networking and analytics technologies. Cataleya and Squire Technologies can service its customers with a comprehensive range of solutions from TDM to IP interworking, SS7 and IMS signalling, SIP, WEBRTC, VoWiFi and VoLTE. Cataleya is enabling the growth of Communications Service Providers, Mobile Operators and Unified Communication platforms with its cutting-edge IP switching and analytics technology. It’s award winning Orchid One platform was specifically designed to enable the delivery of IP communications services with end-to-end QoS and QoE and full visibility from the transport to applications layers. Through its partnership with Squire Technologies, Cataleya is addressing the challenges in TDM to IP migration and offering a range of innovative IP solutions to its new and existing customers. Cataleya is a leader in IP networking innovation, with a strong track record in developing and deploying next generation carrier grade switching systems, pushing the envelope in an all IP paradigm. Cataleya is headquartered in Singapore with its own technology development team in Silicon Valley and operations centre in Pune, India. Cataleya creates networking technology that are simple, intuitive and ready to enable an all-IP world. 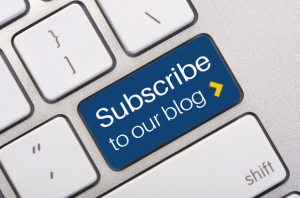 Its solutions are purpose built to give customers greater control over their network with the operational intelligence to deliver new levels of quality of service whilst overcoming the toughest industry challenges. Squire Technologies are a UK based company specialising in signalling product solutions in SS7, VoIP and IMS/4G. Operating since 2001 we provide both the technology and the associated commissioning and support services. Squire Technologies has a global customer base with deployments in over 90 countries consisting of fixed and mobile operators, MVNOs, equipment vendors, integrators and solution providers. CMC Networks consolidates network core and reduces operating costs with Squire Technologies’ SBC solution. The SVI SBC provides a single platform to interconnect both SIP and H.323 endpoints and was enhanced with MNP / LNP capabilities to support the needs of corporate and wholesale customers. Squire Technologies, signalling specialists to the telecoms industry, today announced that CMC Networks, a leading independent telecoms operator in South Africa has deployed its SVI SBC solution in order to consolidate its network infrastructure and reduce costs. The SVI SBC replaces six existing session border controller platforms, reducing the amount of rack space required in CMC’s datacentres and lowering operational costs. The new platform provides a single, centralised resource for the management of services and a robust solution that can scale for future growth. The solution delivers additional capacity at a lower cost, reducing the investments required to meet further capacity expansion. In addition to providing centralised session control capabilities, the SVI SBC also provided support for mobile and local number portability (MNP and LNP) services in South Africa, meeting regulatory requirements and ensuring that CMC’s customers can benefit from the range of porting options available. The SVI SBC solution enables portability services to be implemented from a local database, reducing transit costs and delivering more efficient processing. The MNP / LNP capability was enabled through integration of an optional module from Squire Technologies’ range of intelligent service modules. CMC Networks has a broad footprint across Africa and beyond, with more than 100 managed point-of-presence sites globally. CMC’s commitment to network evolution and enhancement will see it replicate the SVI SBC solution in other territories to deliver further network efficiencies and cost reduction. The Squire Technologies SVI SBC solution allows Service Providers, such as CMC Networks, to manage the interconnection of large numbers of different VoIP end points. It manages signalling and media policies and provides a unified interface to the core network. Supporting full protocol interworking, robust SIP trunking and comprehensive call routing control, it is a secure, reliable and highly scalable solution for VoIP networks. It can easily be extended with the addition of optional modules from the Squire Technologies’ range. Please contact Squire Technologies for more details. Squire Technologies is a leading global provider of NGN, TDM and IP telecommunications products and solutions with world-class installation and support services. Squire enables telecommunications companies who have previously been restricted to legacy SS7 and ISDN platforms to access VoIP and IMS networks, as well as providing signalling transfer points and protocol converters to further extend their customers’ network reach. Founded in 1988, CMC Networks operates the largest Pan African SDH, Ethernet and MPLS network. The network footprint extends into the Middle East and Asian regions, and was built from the ground up by our experts. CMC is recognised as a global leader in the provision of customised solutions. We are proven as a strategic partner for our customers and as a provider of state of the art carrier, enterprise and technology solutions. CMC ensures continuous evolution and innovation to deliver maximum cost and productivity benefits.